INDORE, INDIA, October 16, 2018 /EINPresswire.com/ — According to OMR analysis, the global e-nose market is expected to grow significantly during the forecast period (2018-2023) due to increasing use of e-nose in food & beverage (F&B) industry. Additionally, the global e-nose market is segmented on the basis of product type, technology, end-user and regional outlook. The report provides detailed & insightful chapters which include market overview, key findings, strategic recommendations, market estimations, market determinants, key company analysis, market insights, company profiling, market segmentation, geographical analysis, analyst insights and predictive analysis of the market. Significant applications of e-nose in food & beverage industry is expected to boost the global e-nose market. E-nose has significant applications in food & beverage industry. 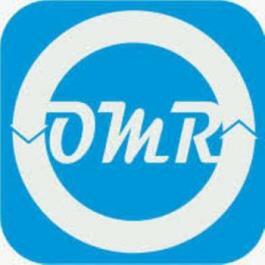 It has been used in a range of applications in the food & beverage sector, such as authentication, detection of aromatic profiles of products to observe their processing, evaluating characteristics of different brands, optimization of the manufacturing process, comparison between beverages of varied origins and many other applications. Furthermore, its use in Dairy sector includes early detection of yeast and spoilage bacteria in milk products, prediction of shelf-life of milk, detection of mould in cheese and classification of cheese. In addition, it also enables evaluation of the off-flavour in UHT milk and the classification of milk by type and trademark as well as product identification during milk processing. As food safety issues is on the rise globally which is affecting public health and economics as well as international trade, the demand for e-nose is expected to grow exponentially during the forecast period. Moreover, with the growing competition in the food industry, a high focus on product development stage is required by the food companies. Sensory evaluation can be a potential component across the product development stage. In addition, evaluation of product aroma has a crucial role to ensure that customer requirements are satisfied. E-nose supports to achieve this purpose as it holds an integration of several sensors that enables identify gases and detection of food products. Due to such benefits, the adoption of e-nose in the food industry may increase in near future, which in turn will lead to propel the market growth. Comprehensive research methodology of Global e-Nose Market. Analysis of regional regulations and other government policies impacting the Global e-Nose Market. 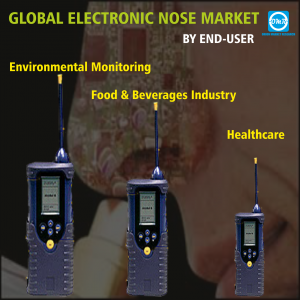 Insights about market determinants which are stimulating the Global e-Nose Market.